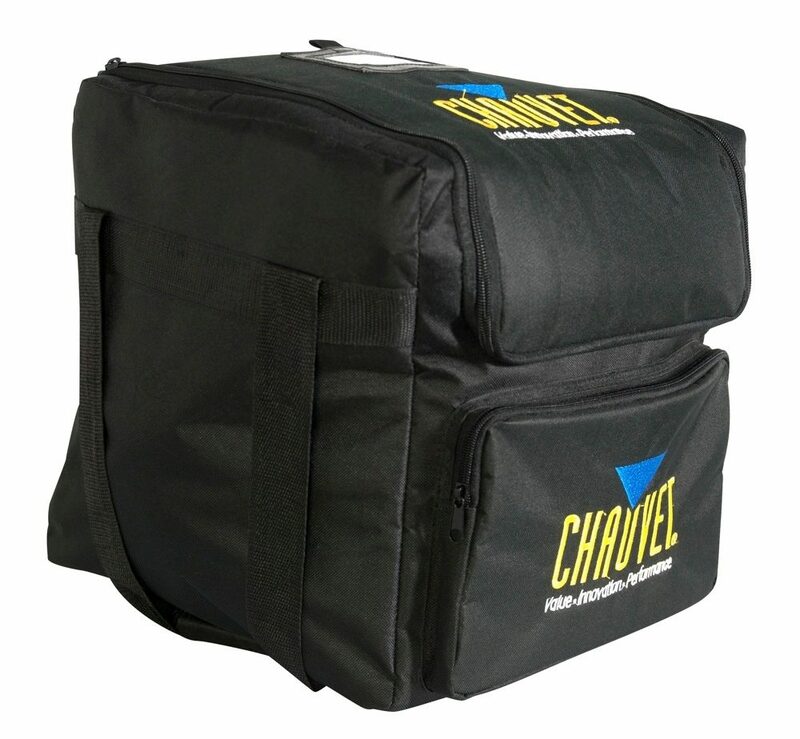 The Chauvet CHS40 DJ Lighting Effect Travel Bag is a soft-sided transport bag that fits many of their most popular fixtures with a removable divider to keep multiple units packed safely in place. Convenient side pockets allow you to carry cables, clamps and other handy accessories. - Compatible fixtures: Swarm 4, Line Dancer LED, O-Beast, Trident, Radius, Kinta X, Double Derby X, Derby X (x2), LED Mushroom, Vue series, Abyss LED 2.0 (x2), J-Six (x2), Obsession LED (x2), Fallout, Gobo Zoom LED (x2), Hemisphere 5, Intimidator Scan LED 100, Intimidator Scan LED 200, LED Techno Strobe RGB (x4), LED Techno Strobe (x4), LED Shadow (x4), LX-15 (x4), LX-10 (x4), LX-5 (x4), Scorpion GVC (x2), Scorpion RVM (x2), Scorpion RGY (x2), Eclipse (x2), Cirrus (x2), Scorpion Storm FX (x2), Scorpion Storm RGX (x2), Scorpion Storm MG (x4), DMX Mega Strobe III, plus many more! Overall: Not enough padding to protect lights unless you keep them in the box and throw them in here for carrying. I'll have to find something to wrap my USB Zoom in since I threw the box away.